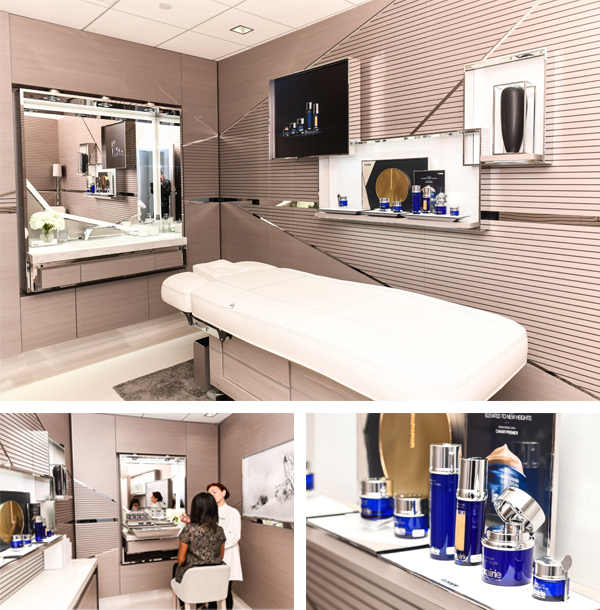 On February 6, 2019, Air France inaugurated its new beauty treatment centre in its terminal 1 lounge at New York-JFK airport, in exclusive partnership with luxury beauty and skincare specialist, la Prairie. After revamping its dining area in December, the Air France lounge has introduced new attentions dedicated to its customers’ well-being. This new space spanning 30 sq. m, decorated in La Prairie’s emblematic style, is accessible to La Première and Business customers and Flying Blue Platinum and Gold members. It is equipped with two private beauty booths with a massage table for the longer treatments, like in a real beauty institute. An area dedicated to rapid beauty treatments is also available for customers. 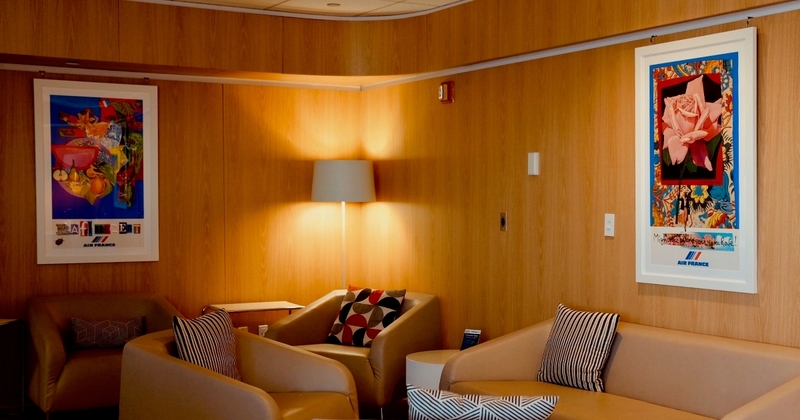 Customers must reserve these treatments with the Air France agents on arrival in the lounge. 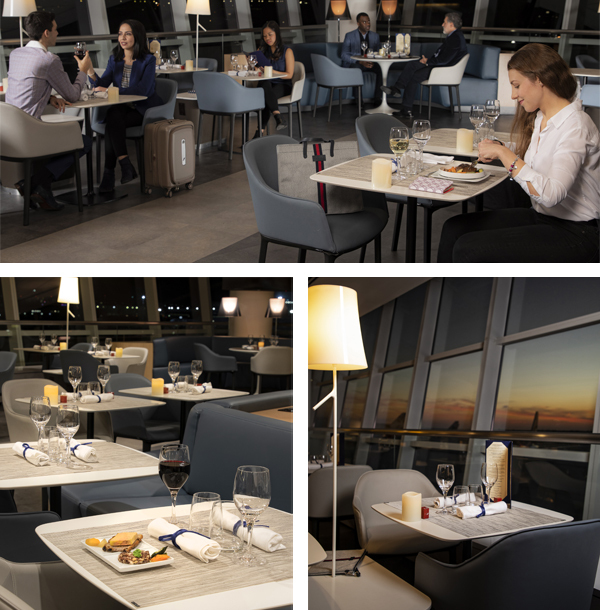 In December 2018, Air France unveiled a completely renovated dining area in its New York-JFK lounge. Business customers enjoy the Night Service offer in a brand new setting, with a more convivial and contemporary feel, dominated by white and wood tones. In this area located on the mezzanine, new furniture and imitation leather couches, inspired by a Parisian brasserie, have been custom designed to offer a convivial atmosphere. Blue and grey tones along with atmospheric lighting have been added to create a more intimate atmosphere. The mezzanine floor has also been redesigned, incorporating light and anthracite grey shades. In total, the area is equipped with close to 34 tables for 2, a high table with 6 seats for dining opposite the runways and a round table seating 6. This new dining area has been designed to offer customers the Night Service. This service anticipates Business customers’ need to enjoy a good night’s sleep on night flights between New York and Paris. They can thus enjoy at no extra charge the same gourmet French meal in the airport lounge as the one served on board, with their meal served at their table. Each customer can thus enjoy a full meal comprising a starter, hot dish, cheese, dessert and a wine and Champagnes list. During the flight, customers can enjoy a good night’s sleep in the comfort of the Business class cabin. A quiet, private cabin, with a guarantee of a peaceful night’s sleep in a seat that transforms into a lie-flat bed. Customers with a very healthy appetite can choose to eat again during the flight. When they awake, when the French coast looms on the horizon, breakfast is served before landing at Paris-Charles de Gaulle. Since the launch of the Night Service in 2016, close to 50% of customers travelling in Business class on night flights dine in the lounge. AF011: leaves New York – JFK at 21:30, arrives at Paris-Charles de Gaulle at 10:50 the next day. Moreover, to mark the brand new design of its lounge in New York, Air France offers its customers art exhibitions all year-round. From January to June 2019, customers can discover the universe of Roger Bezombes. A collection of 16 lithographic posters, created by the French artist for an Air France promotional campaign in the 1970s, also exhibited at the Pompidou Centre in Paris in 1981, evoke the joys and art of travel. Artwork from “La vie autour du monde” poster series is presented by the latter’s grandson, gallery owner Eric Mourlot.